Starting a Direct Primary Care practice is a tall task, by any measure. Doctors emerge from residency with little to no business training. Starting a DPC practice is starting a business, and for many doctors, this is their first attempt at something like this. The journey from 'idea' to 'successful practice' is fraught with pitfalls and difficulties. Knowing how hard it is to start a business and how hard it is to start a DPC practice, I wrote a blog post for my colleagues. It is my sincere hope that they are able to grow while minimizing mistakes, errors, and difficulties. One area where I see that doctors could make significant improvements is their digital marketing. Specifically, DPC docs need to know how to build a sales funnel for their services. You see, when a doctor is employed by a large health system, her name is on the back of the insurance card for thousands of patients. That same doctor, when she breaks free from the insurance-based system, has to find her own patients. Where will these patients come from? 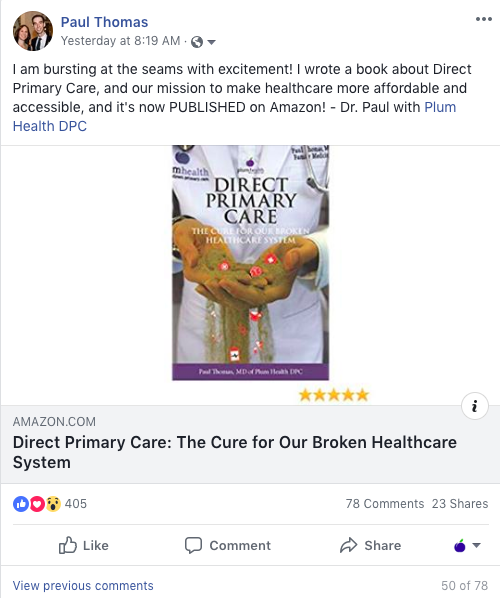 Direct Primary Care (DPC) doctors must leverage social media, email marketing, networking events, etc... in order to grow their practices successfully. This piece that I wrote on the Hint Health blog will facilitate this growth, and it focuses on building a sales funnel for your practice. This week I watched the movie "Limitless" starring Bradley Cooper. The film follows a struggling writer who can't seem to get anything done. Even though he has a book deal, he hasn't written a page, not even a word. He finds himself lingering at the bar, talking about what he might do rather than just doing it. Then, Bradley Cooper's character meets an old acquaintance who introduces him to a medication - NZT - that improves his brain's capacity to access information, concentrate and focus. Within 4 days, he finishes his book and within a month, he is the lead consultant on the largest corporate merger in American history. I found it interesting that the very first thing Bradley Cooper's character does when taking this mental capacity-enhancing medication is to clean his entire apartment. He literally throws away all of the things he doesn't need, washes his dishes, organizes his book shelf, tweaks the layout of his apartment, and sets up a desk that is most conducive to being productive. Hollywood hyperbole aside, I think this movie touches on some really important take-aways. First, how do you organize your life? What does your physical space look like? Are you able to be productive in that space? What about your schedule? Are you creating space in your schedule so that you can capitalize on your peak brain capacity, your peak productivity? For me, I am most effective when I exercise first thing in the morning and then schedule myself 2 - 3 hours of un-interrupted work. I can really zero-in on the one or two most difficult tasks for the day. This is the time that I'm "in the zone" or experiencing a "flow state" - I am engrossed in my work and able to interact with complex thoughts and decisions. The time of day and how you mentally prepare for your peak productivity may be different for you. For example, you may be more productive in the night-time hours, after everyone else in your family has gone to bed. The point is this: it is incredibly important to think critically about how you structure your day and your life for optimal productivity, and even happiness. I believe that this has important applications for medical conditions, namely depression, anxiety and ADHD. Let's tackle ADHD, for example. With ADHD, the two mainstays of treatment are medications and cognitive behavioral therapy (CBT). And, in CBT, the focus is on time management, organization, and making short- and long-term plans. Here's why CBT is relevant for patients with ADHD, taken from CHADD, the national resource on ADHD: "CBT is relevant for adults with ADHD in two ways. First, in recent years, CBT programs have been developed specifically for adults with ADHD. Some of these programs aim to help adults overcome their difficulties in everyday executive functions that are needed to effectively manage time, organize and plan in the short term and the long term. Other programs focus on emotional self-regulation, impulse control and stress management". As for Depression, if you are dealing with depression, and you are not structuring your day to include exercise, you may be missing out on a powerful form of treatment. Exercise can be a powerful antidepressant. However, the evidence is limited at this time. According to an article in the American College of Sports Medicine's Health and Fitness Journal, "Only two studies, both from researchers at Duke University, compared the effectiveness of exercise with pharmacotherapy. No differences between exercise and antidepressant medication were noted". Final takeaways, you have the power to improve your mood and your productivity by organizing your life. Think critically about how you structure your schedule, physical space, and mental space, and create your schedule around your peak productivity. 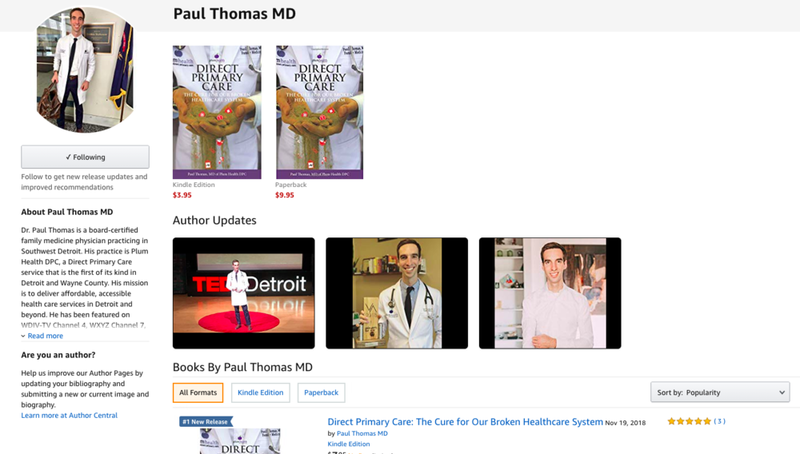 I initially discovered direct primary care while on a road trip in November 2012. I was driving back to Detroit from a residency position interview at the University of Minnesota. I believe it was a libertarian-minded podcast featuring an interview with Dr. Josh Umbehr, discussing his startup in Wichita, Kansas, called Atlas MD. It was refreshing to hear a Family Medicine doctor speaking so passionately about saving people money, delivering better care, and practicing in a unique way. The message resonated with me, but at that time I was pursuing a faculty position at a residency program because I enjoyed teaching so much. Suffice it to say that I filed this “Direct Primary Care” concept in the back of my mind. Between my second and third years of residency, I went to the Michigan Academy of Family Physicians (MAFP) annual meeting in Traverse City. It was July 2015. There I met Dr. Clint Flanagan of Nextera Healthcare in Denver, Colorado. He spoke unequivocally about the value of being a primary care doctor and the tremendous value that we provide for our patients. His passion for the profession also came through in a way that I hadn’t experienced before. These two leaders in the field served as a contrast to the typically burnt out and grumbling physician that I had met thus far in training. Even the best doctors grumbled about paperwork, prior authorizations, late patients, packed schedules, and all of the other difficult parts of being a primary care doctor. At that point, I knew that I would pursue an alternative practice model. 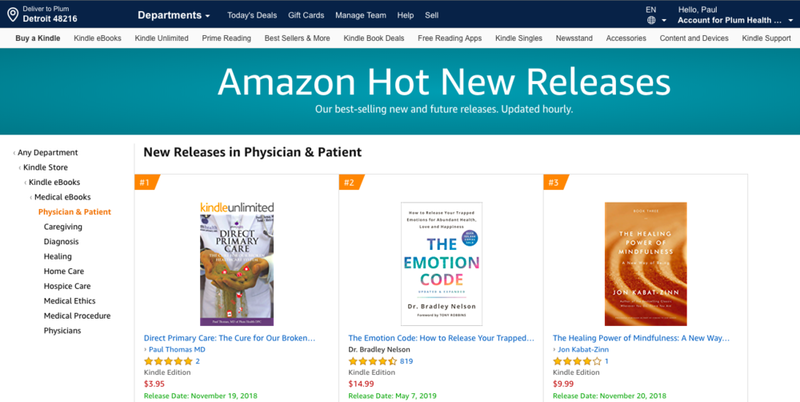 It only made sense – less-than-fulfilled physicians practicing in a less-than-ideal system surrounded me and I knew that life could be better on the other side. Additionally, I always had this inner drive to deliver medicine in a more equitable and just system. Direct primary care seemed to align with my values as an individual and as a doctor, but I needed to dive deeper. So, as an elective rotation, I drove out to Wichita and Denver, and spent a week learning from both Drs. Umbehr and Flanagan. I kicked the tires, took copious notes, and tried to bring the best of their practices to my community in Detroit, Wayne County, and Southeast Michigan. Now it's September 2017 - almost 5 years after I had initially heard of "Direct Primary Care". Now, I'm living DPC every day, taking care of people of all ages and stages in my clinic in Southwest Detroit. I'm even caring for people while on vacation - I helped about 10 of my patients while I was traveling abroad over the last week. I am able to do this - to be the doctor that I was meant to be - because I am a Direct Primary Care doctor. This post is about inspiration, and what inspired me, and what continues to inspire me. I am inspired by the fact that I can help people with real health care needs either in my office or over the phone, or via video chat or email. I am inspired by the fact that I am able to serve people who haven't seen a doctor in years, because we've lowered the cost barriers and therefore have made our service more accessible. I'm inspired by the fact that we can do so much good in such a small space. I'm also inspired by the potential for Plum Health to grow, and to serve more people in our immediate community and across the region. I'm inspired by the happy patients that I get to work with everyday. I've had great mentors along the way, specifically from the pioneers in the Direct Primary Care world, and I'm grateful for their help in getting me to a successful and sustainable DPC practice. Dr. Paul Thomas of Plum Health DPC, in the Plum Health office!